Machu Picchu, Pompeii and the Pyramids of Giza are all up there with some of the most iconic examples of the world’s greatest ancient ruins, but thousands exist across millions of miles, some still yet to be discovered. 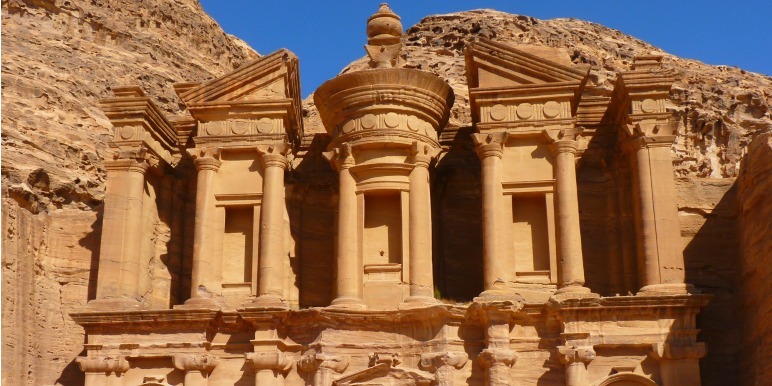 Also known as the Rose City for it’s red, white and pink colored stones, Petra has been named one of the New 7 Wonders of the World and is a must see for any traveler. Most likely inhabited around 9 B.C to A.D 40, Petra was the capital of the Nabataean empire of King Aretas IV. This historic site was used as an important connection for silk and spice transportation between China, India and southern Arabia with Egypt, Greece and Rome. Between the beautiful stone architecture, advanced water system and 4,000-seat amphitheater, Petra has no shortage of amazing sites to see. What you probably didn’t know is Petra is home to a hidden gem that most tourists never get the chance to see- El-Deir monastery. About an hour’s climb north of Petra’s city (yes that is about 800 steps), the Monastery isn’t easy to reach but it is well worth it. Why walk up 800 steps? You will be rewarded with with one of the most epics views as many locals consider it “the end of the world”. 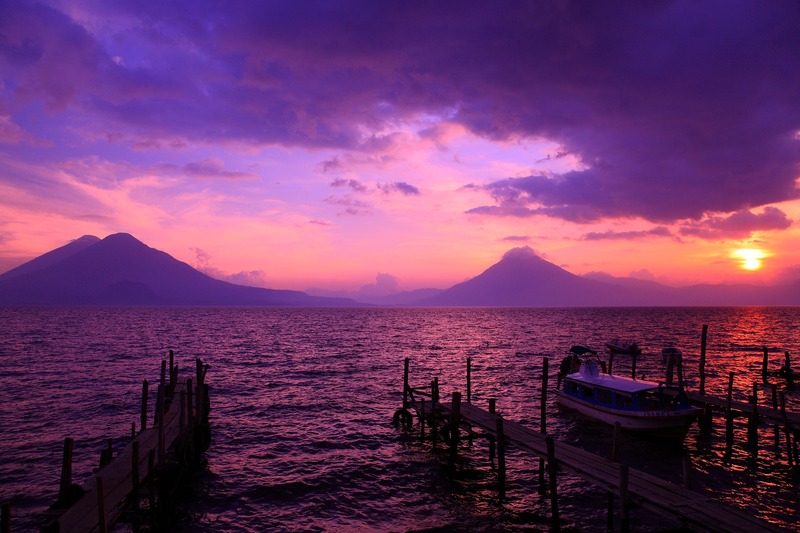 Don’t miss out and let this amazing sight pass you by! What do you think when you hear Egypt? The Great Pyramids of Giza most likely, and rightfully so as it is an iconic symbol and the last of the old Seven Wonders of the World still standing. 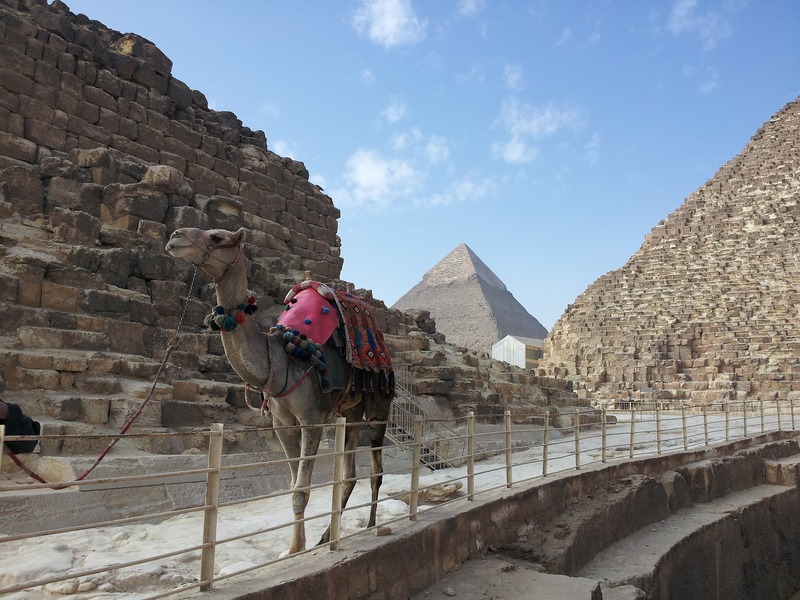 Egypt is home to some of the best ancient cities and temples in the world, and it’s easy to get lost in them all. So here is one that belongs on your bucket list- Abu Simbel. Abu Simbel is the site of two temples built by Ramses II and is now located in Aswan. 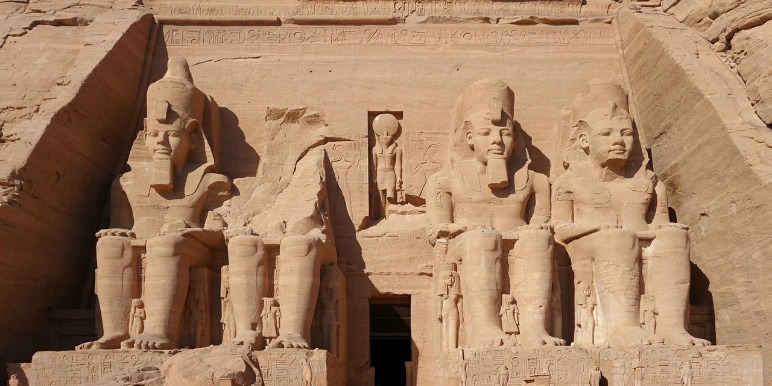 The main temple boasts four giant statues dedicated to Ramses II himself, and are perfect examples of ancient Egyptian art. If you like ruins and archaeology, look no further than this spot! Besides the enormous statues outside, hieroglyphics and early signs of the Greek alphabet line the walls inside. Known as “the most sacred of all islands” in ancient Greek culture, Delos is believed to be the birthplace of Apollo and Artemis the gods of Sun and Moon. Just a few miles from the cosmopolitan city of Mykonos on top of Aegean Sea, Delos is a floating historic and sacred site. In fact, there is no other natural insular archaeological site of equal size and importance in the entire world. 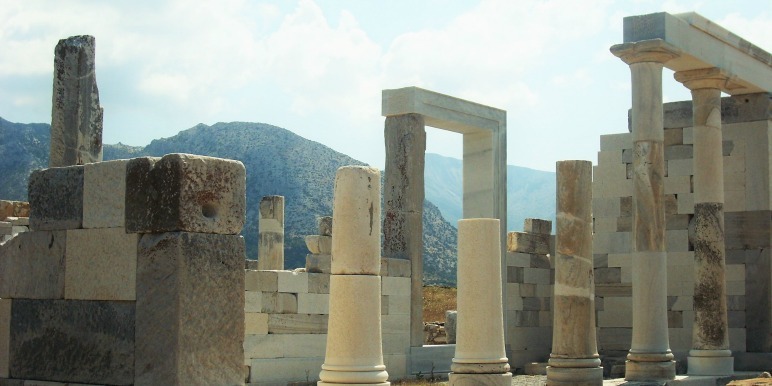 Thought to be inhabited around 3000 BC, Delos has an extensive history as a free trading port and home to a popular slave trade market during the time. The island is not inhabited by anyone, luring only the most interested of travelers to come explore its deep history. Delos is accessible by boat from Mykonos, and is worth adding to your bucket list. Machu Picchu is like the one-stop-shop for many tourists visiting Peru, once you can check it off your bucket list you are pretty much good, right?. Machu Picchu deserves the over 1 million tourists it attracts yearly, but if you are looking to leave behind the swarm of selfie sticks Peru has many other top tier ancient attractions. 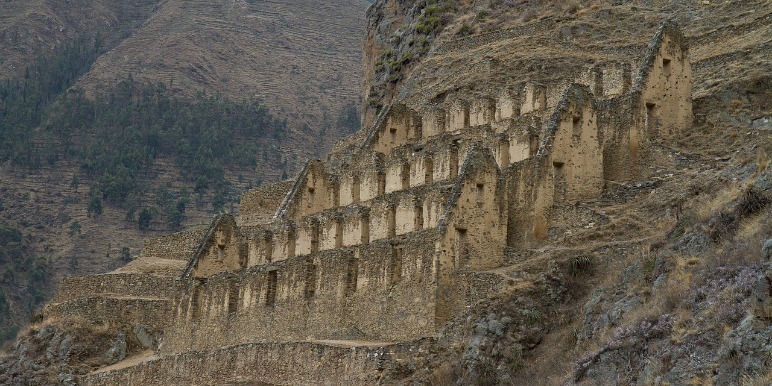 Ollantaytambo makes this list as the perfect town to explore an Inca archaeological site. It is located in the Sacred Valley and is an important stop in route to a common starting point for the Inca Trail. Occupied since the 13th century, this site is full of history and was the place of a major Spanish defeat. 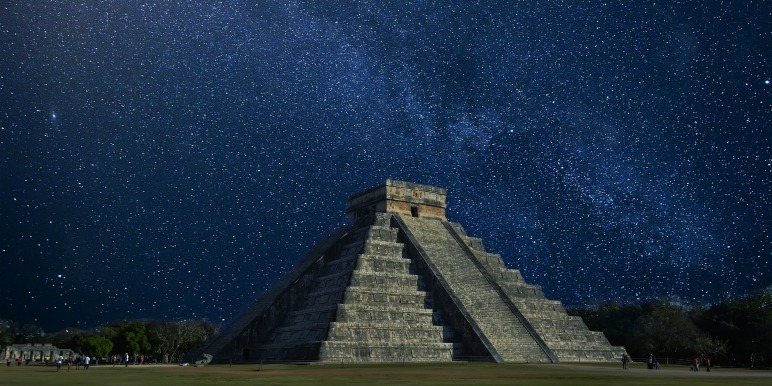 This sacred site is one of the best known examples of the Mayan-Toltec civilization in Yucatán. The town was established during the Classic period, and displays an exceptionally planned urban design for the time. Undisputed masterpieces of Mesoamerican architecture because of the beauty of their proportions, the refinement of their construction and the splendor of their sculpted decorations. This next destination carries with it more than just amazing history, but is known to have one of the most spectacular landscapes in the world. Carved into natural land formations, you will find homes, chapels, tombs and temples that literally carve out a piece of history dating back to 3rd millennium B.C.E. There are 36 underground cities spread out over the area, but the two most famous are Derinkuyu and Kaymaklı. Each of these cities could support thousands of people and livestock for an extended period of time, most likely during attacks. 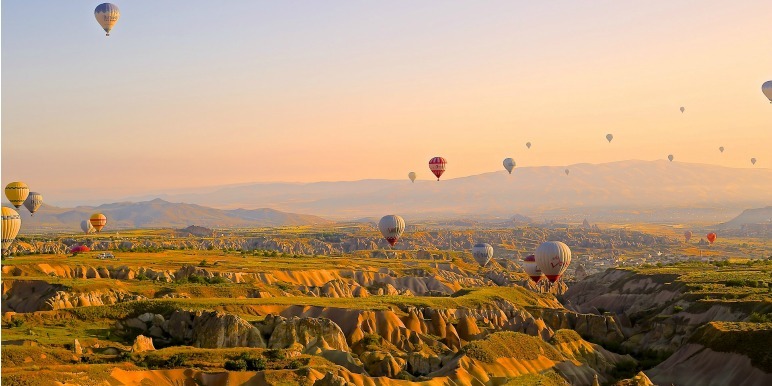 Consider getting a truly unmatched view of this rare geological site through a famous hot air balloon ride. 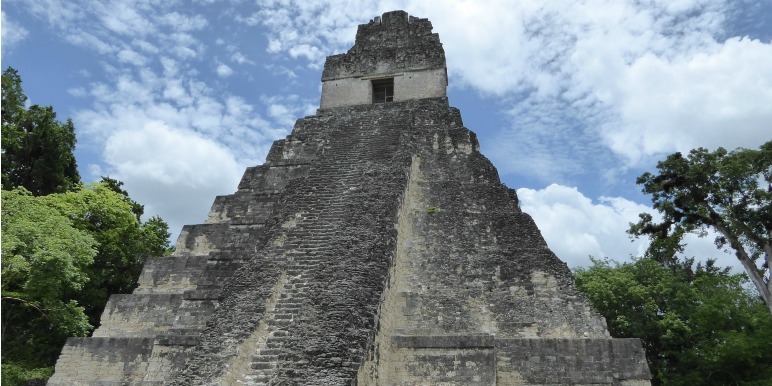 Next on the list, Tikal was a major Mayan city that flourished between 300 and 850 CE. With close to 3,000 different structures spread across around 3,700 acres, there is no shortage of sites to see! Tikal once housed about 100,000 people and now there still remains ruins of former temples, ceremonial platforms, palaces, ball courts, steam baths and more. What sets Tikal apart besides its extraordinary archaeological structures is its proximity to the lush jungle declared a national park in 1955. 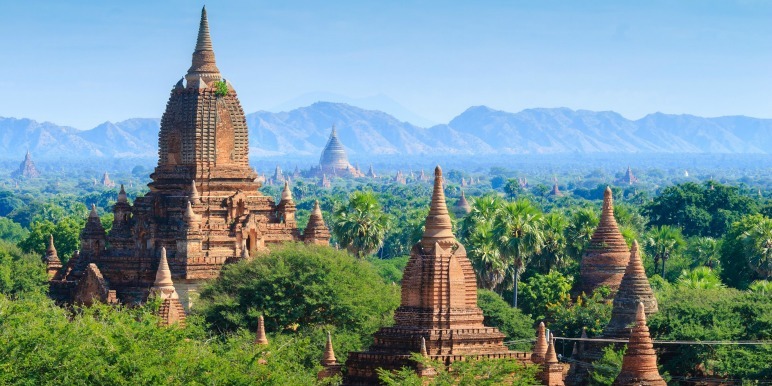 Bagan is considered by many as one of the most important archaeological sites of South East Asia, but attracts little attention in comparison to other ancient cities. This ancient city was the capital during the Bagan empire that was at its height between the 11th and 13th century. During the peak of the empire over 10,000 structures were built, but today 2,200 monuments still remain making it one of the most dense regions for temples worldwide. The city has a certain lure and mystery to it, as it is still unclear why one of the most extensive and greatest cities in Southeast Asia was completely abandoned. After the city was abandoned many of the local people considered it haunted, and the vast area remained relatively vacant. When most people think of Angkor, they think of the iconic Angkor Wat Temple. But did you know Angkor is actually a complex of hundreds of temples once a city inhabiting more residents than London? Ta Keo is one of these hundreds that doesn’t make the average tourist's itinerary, but should make yours. Getting here requires going up some steep steps, but you won’t be disappointed with the magnificent view of this entirely sandstone temple. Another often overlooked temple of Angkor, Preah Khan will have you star struck without all the noisy tourists. 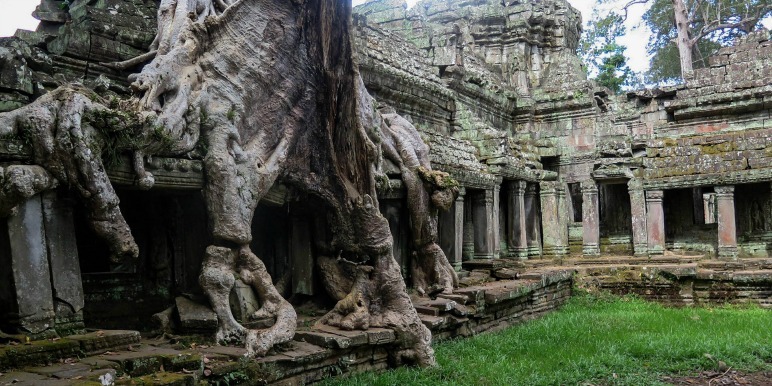 This massive complex is left largely unrestored, and you will find yourself exploring the ruins alongside giant tree roots and extensive vegetation. The moat and jungle that surround the complex help to make this temple so quiet and serene it will feel like you’ve discovered your own hidden gem. Wow! 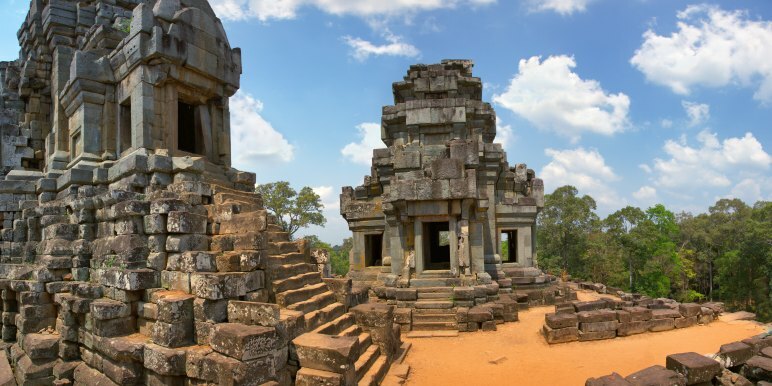 Some of these I knew, but some were surprising - I'd love to visit the more under the radar temples at Angkor. How cool! I've been to a few of these. Cappadocia has been high on my list for years! Top on my list is Cambodia. Would love to explore Angkor Wat and see all the temples. Wow! A few new places to add to my bucket list.